The Bullant underground project was acquired from KMC during 2013. The project is located 40km west of the Paddington Mill by road. Bullant is situated along the Zuleika Shear Zone, a prospective regional north-northwest trending structure. The Shear Zone is a broad ductile to brittle structural corridor contained within a mafic unit in the mine area. The Shear Zone dips sub-vertically to steep east dipping. Mineralisation occurs in up to four lodes (labelled the Main, East, West and Cross lodes) and is associated with biotite-silica-pyrite altered basalt and minor local quartz veining. Both the Main and East lodes remain open at depth. 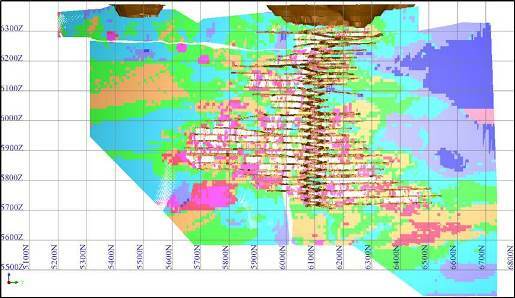 Bullant has a Measured, Indicated and Inferred Mineral Resource of 2.68Mt @ 5.35g/t Au (462,000oz). .In 2016, discovery and mining of the Bullant Super South area occurred. This has been a significant milestone for the Bullant operation, providing a new mining front and replenishing ore reserves by 69koz (as of Dec. 2017).